Rob was diagnosed with Prostate Cancer in early 2018, at 69 years old. 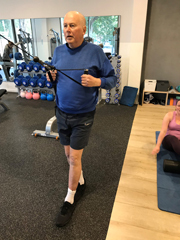 I first met Rob in February 2018 when he attended for an Exercise Physiology assessment to commence an exercise program to accompany his treatment, as advised by his oncologist, Dr Cooray. Rob’s treatment plan involves both hormone replacement therapy and chemotherapy, which both have several physical effects on the body (including fatigue, nausea, reduction in bone density, and more), and can be mentally challenging to get through. Since February, Rob has completed 4 out of 6 rounds of chemotherapy. Rob has 3 weeks of chemotherapy and then one week off, so his energy levels, fatigue and nausea vary throughout this time. 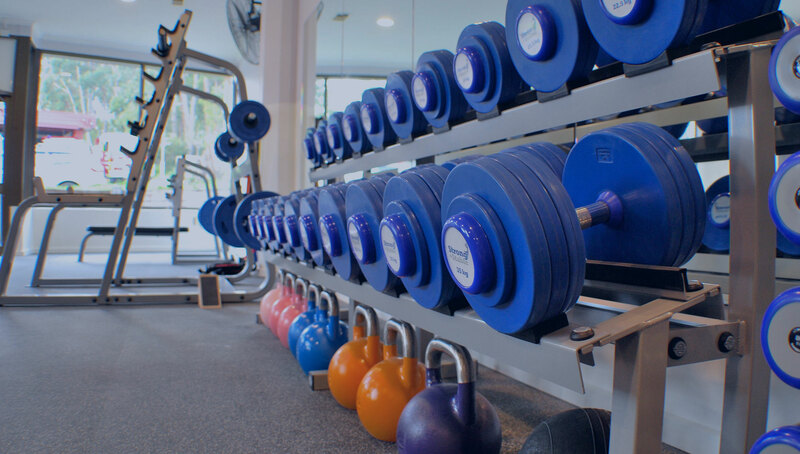 However, despite how he is feeling and with a bit less hair, Rob is a regular face in the gym, attending 2-4 times per week to complete a program consisting of both strength and aerobic exercises. 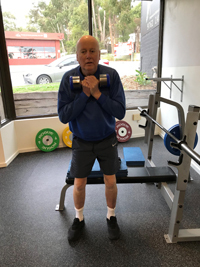 Rob completes his exercises independently, however, under the guidance of Exercise Physiologists, his program is changed regularly, and altered depending on how he is feeling on the day. 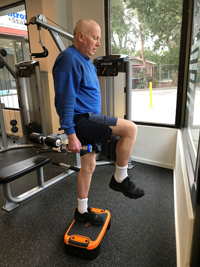 While Rob will admit he has missed a day or two here or there, he feels that his exercise program has contributed greatly to how he feels both physically and mentally, and always feels better after leaving. Having been a keen marathon runner back in his golden days, Rob has always loved exercise and appreciates all the benefits it provides. 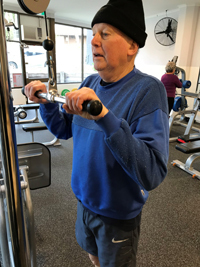 But after his diagnosis, Rob says one of the best parts of being able to exercise is the control it allows him to have on his own health. 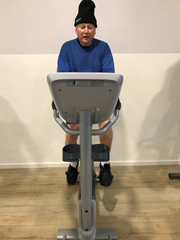 In Rob’s own words: “in a world where you have a life threatening disease, and are constantly being told what to do and where to go and what time to be there and what treatment you’re having, I am in control of my exercise, and that is empowering”. It is an absolute pleasure looking after Rob in the gym, who is always keen for a chat and a joke or up for a challenge. Keep up the great work Rob, you are a superstar and an inspiration to all of us!